Wilsonville High School teacher Charlie Hyman did a little jig in front of his class to a tune that didn't come from a student or the radio, but rather a tiny, round robot. 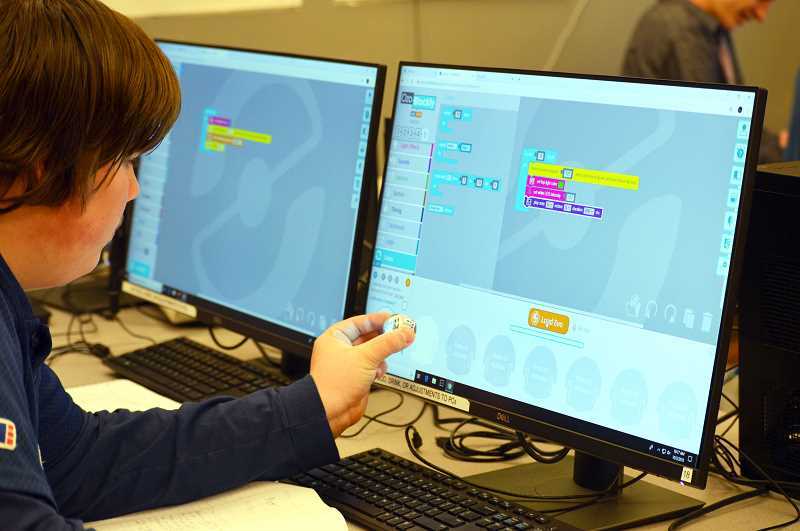 Students in Hyman's computer science class were learning how to code Ozobots — small, coding robots — that have built-in capabilities like detecting colors, making sounds, following lines and displaying lights. 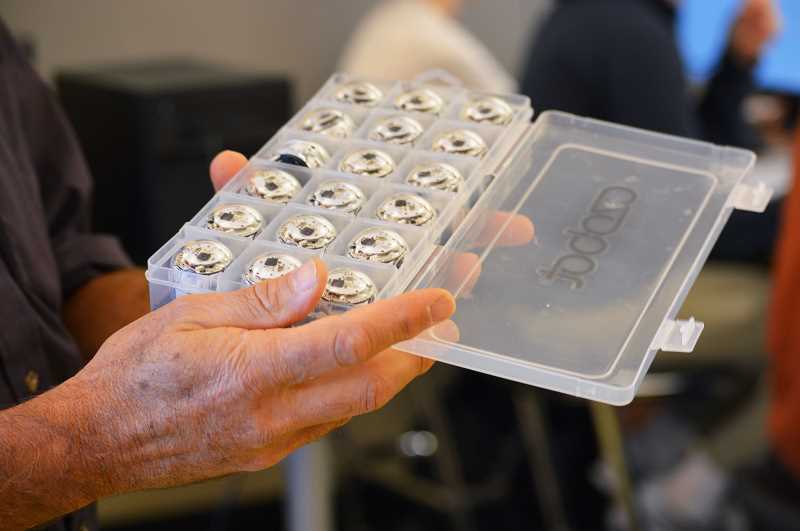 "(Students) use the code on the computers and they program (the Ozobots) by putting it up on the screen. It flashes a series of colors that loads the program in," Hyman explained. 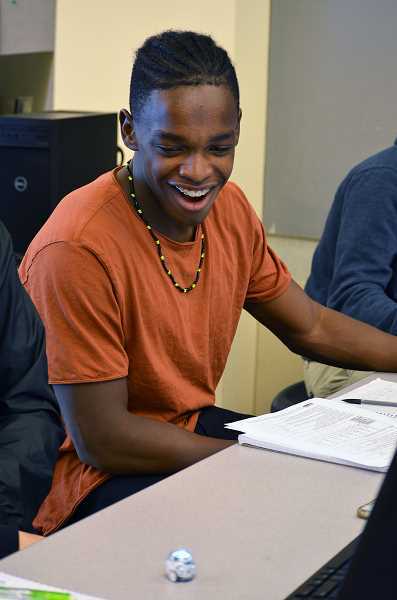 This particular computer science intro course is just one class that is part of a computer programming Career and Technical Education (CTE) pathway — one of three CTE programs at WHS. 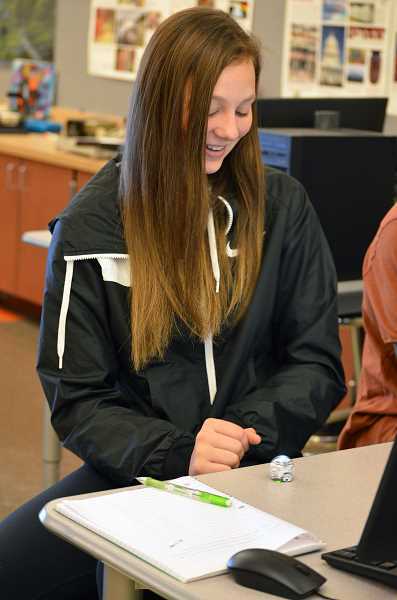 "I think a CTE program of study gives teachers and schools resources to package these programs together in a way that benefits kids in their college and career readiness," said Tate Olsen, assistant principal at WHS. "When they leave high school they have multiple options they can really choose what best fits them." 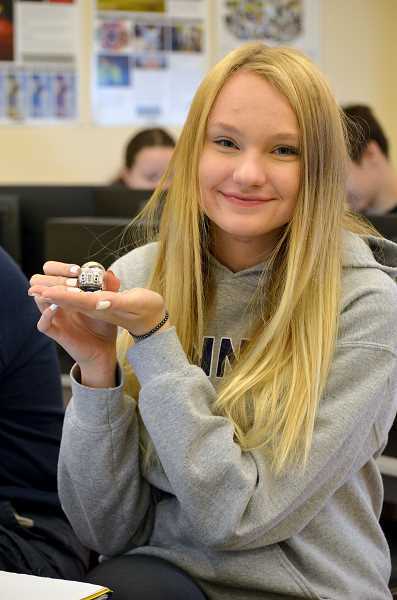 Up until a year ago, WHS offered two CTE programs — the other being graphic design — that are comprised of classes to help guide students through a program of study, giving students skills to enter the workforce. This year, the school is developing a broadcast journalism CTE program. "Our CTE program has come a long way in the last year. When I got here there wasn't a large lens on CTE; there wasn't a lens on the progression through CTE and how it benefits (students) in the future," Olsen said. "We've spent a lot of time now to promote to students some benefits of going through a program of study, whether you have skills you can take and use in the workforce when you graduate from high school, or you can create connections with industry partners." Olsen said that by clustering classes and having them taught by CTE-certified teachers, it helps students stay within the program until completion. And having a CTE-certified teacher allows the programs to receive federal dollars for tools and equipment. Graphics design teacher Jason Jensen — who started a CTE program from scratch in Hermiston — said CTE has brought him resources to help with student leadership development and that being CTE-endorsed has exposed him to other CTE programs, allowing him to better his own curriculum. And that's the goal for all three programs this year: to expand and develop. Jensen is working to build relationships with graphic designers and other industry workers in the community to provide students with internships, and Hyman recently received a $4,000 CTE grant through the Carl Perkins CTE Act of 2006 — a source of federal funding to states and grantees — to purchase lighting equipment, tripods and other photography tools to build a photography studio in the back of the computer lab. For the new broadcast journalism program, the video production teacher is in the process of getting CTE-certified so video can be combined with the other journalism classes to create a broadcast program. "We've had a group of students that have been very good at and very motivated to do some video work at our school," said Olsen, adding that WHS has a CTE-certified English teacher who is teaching the journalism and yearbook classes already. "We decided to get some broadcast journalism classes together and create a program where they could learn (journalism) before they get in the video aspect. ... We'll be able to pull the video piece into our broadcast journalism program of study, using his expertise and knowledge to grow that program to be more well-rounded in all areas of broadcast." Olsen and Jensen also find it beneficial that students can find overlap and take classes is different CTE programs. "You're going to have kids that can manipulate, edit photo and create their own artwork — their own product," Olsen said. "Then you've got computer programming and web design, which (students) can take those products and use them in their web design. 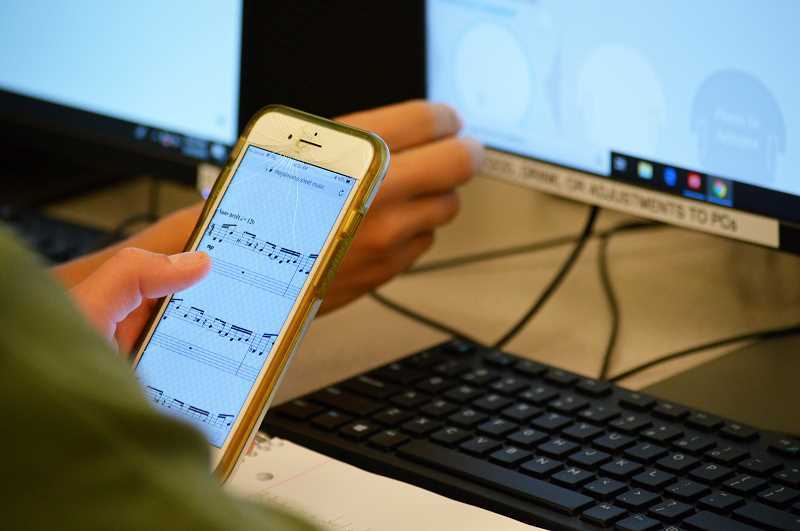 You've got a lot of overlap between the programs, which is good because it gives the kids more well-rounded skills and it allows them to use the skills in different ways."